Flowtech's emissions-friendly headers are just the ticket for those who want the best of both worlds - top performance and a clean machine. All Shorty Smog Headers bolt on quickly and easily to the factory exhaust system, retaining all stock emissions equipment, and offering maximum horsepower gains plus increased efficiency! 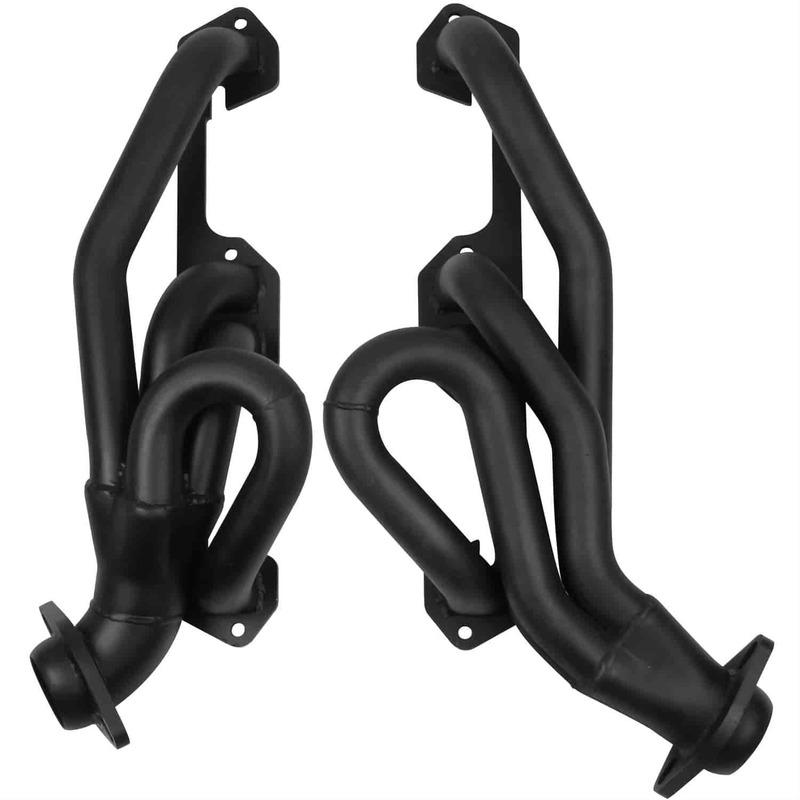 Flowtech's Shorty Truck Headers are the perfect starting point to customize your 2WD or 4WD vehicle! Simply remove the restrictive factory exhaust manifolds and bolt these headers in their place. Shorty headers will bolt directly to your factory or OE-style exhaust, giving you more power and better fuel economy. Mandrel-bent 16-gauge steel tubes along with extra thick 3/8 in. exhaust flanges provide a reliable header with a leak-free seal. These headers connect to all factory emissions equipment and include necessary hardware and gaskets for installation. Does Flowtech 91945 fit your vehicle?